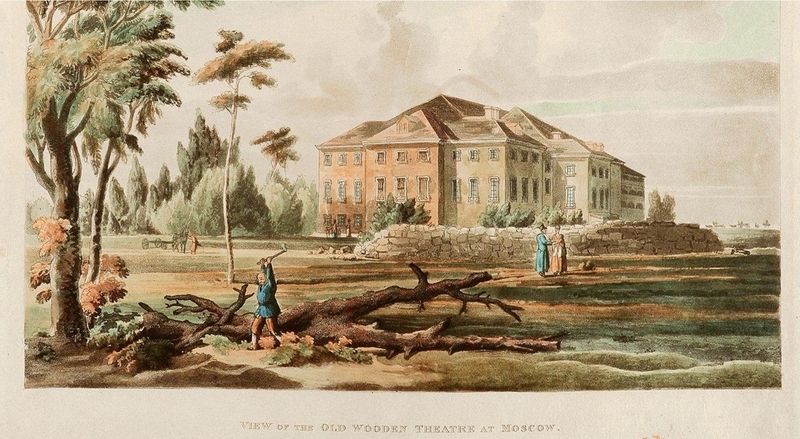 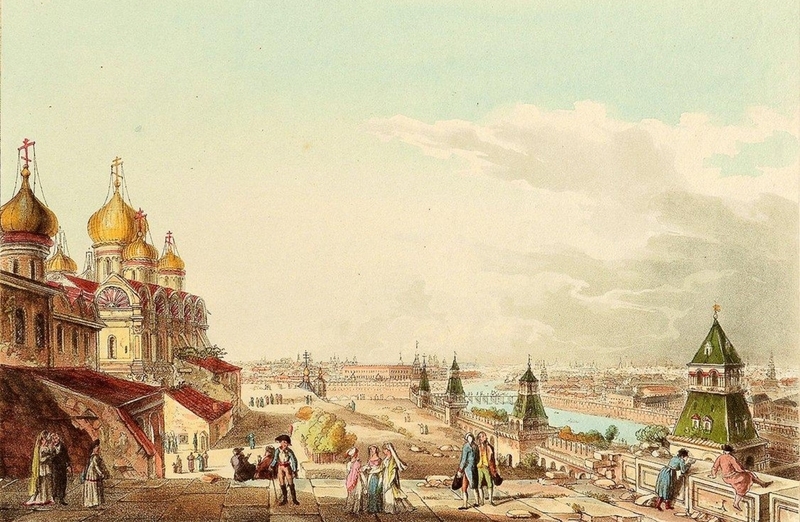 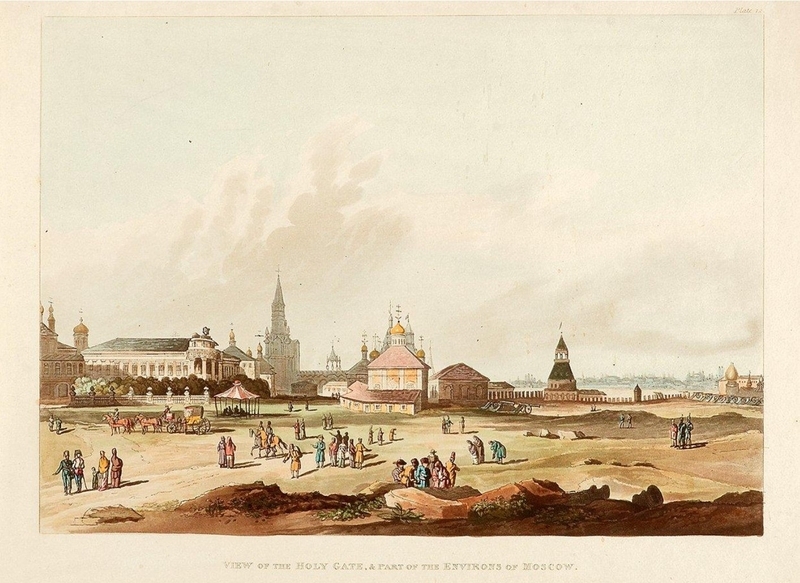 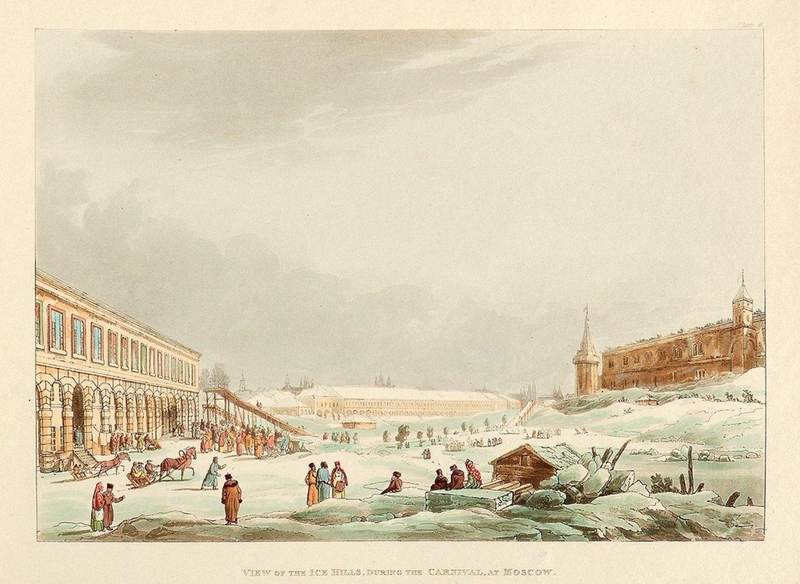 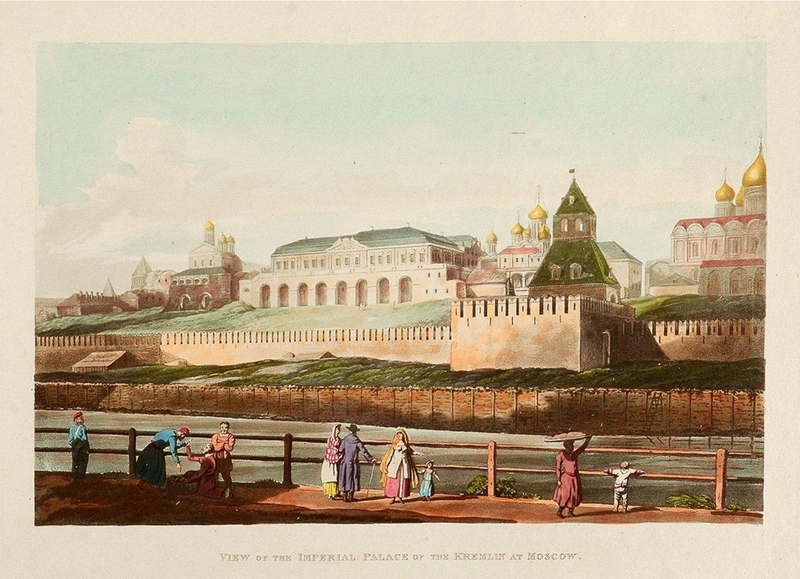 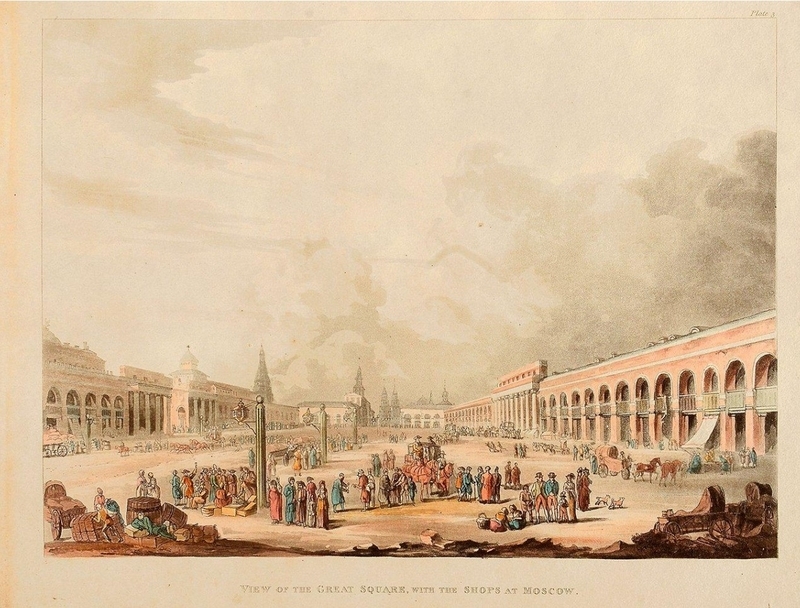 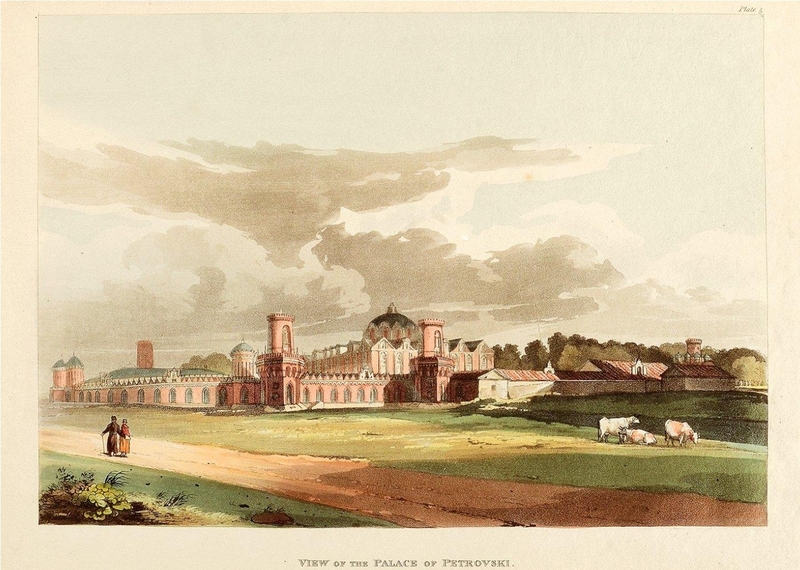 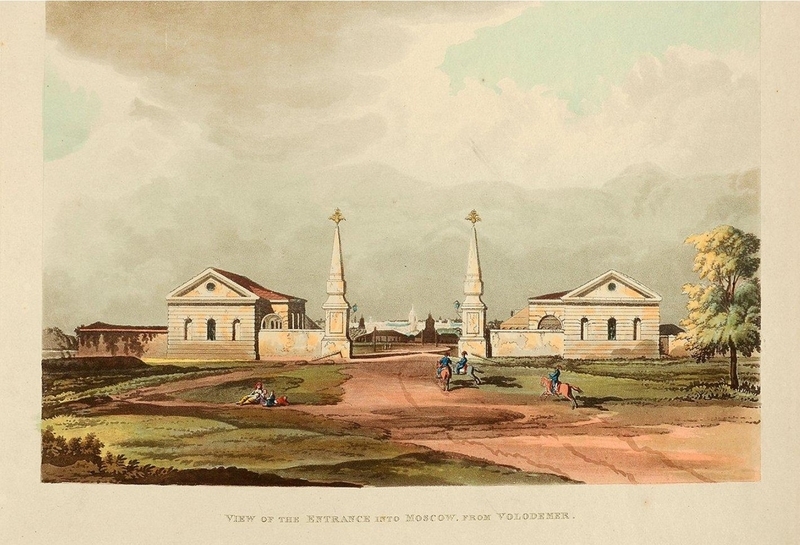 Those are eleven color lithographies of Moscow city published in London in 1813. 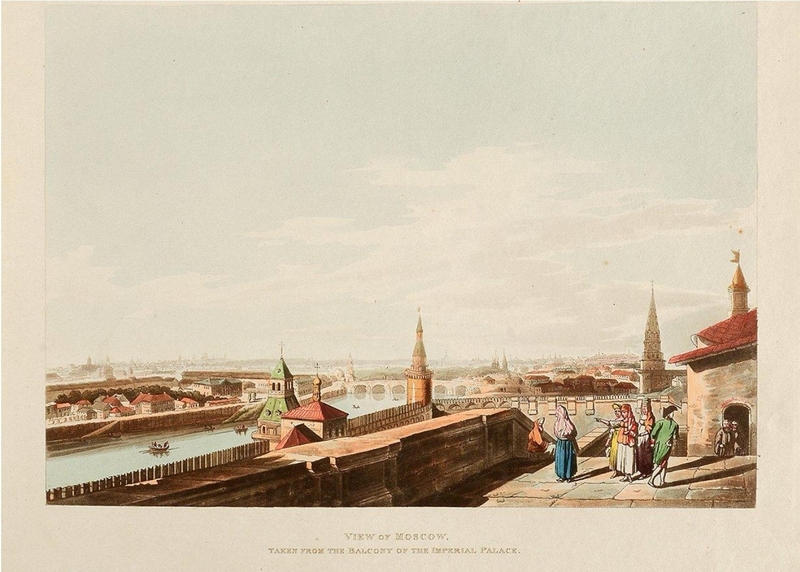 A sort of unique way to look at Moscow how it looked over 200 years ago. Goodly enough those ones have also English captions to understand better what and where is depicted. 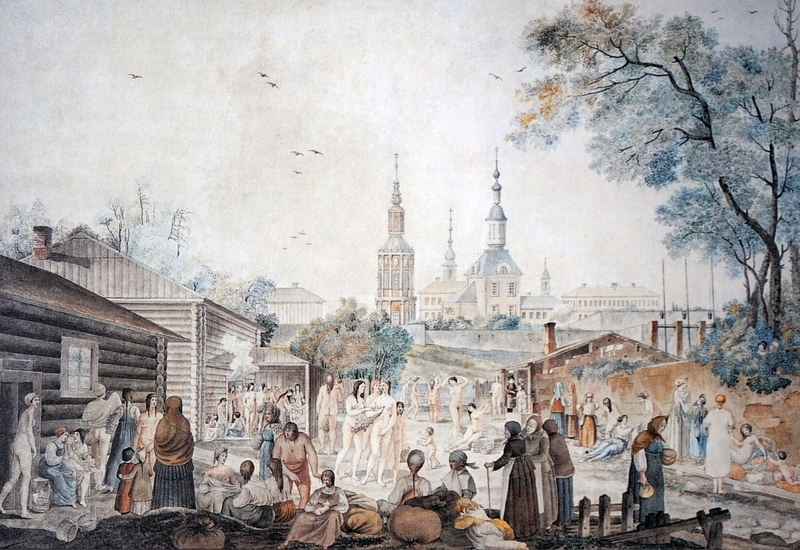 So the Red Square was called “Great Square” at time..
And the last but not the least is the view on the “Banyas” a public washing place, sort of Roman thermas where people bathed collectively. 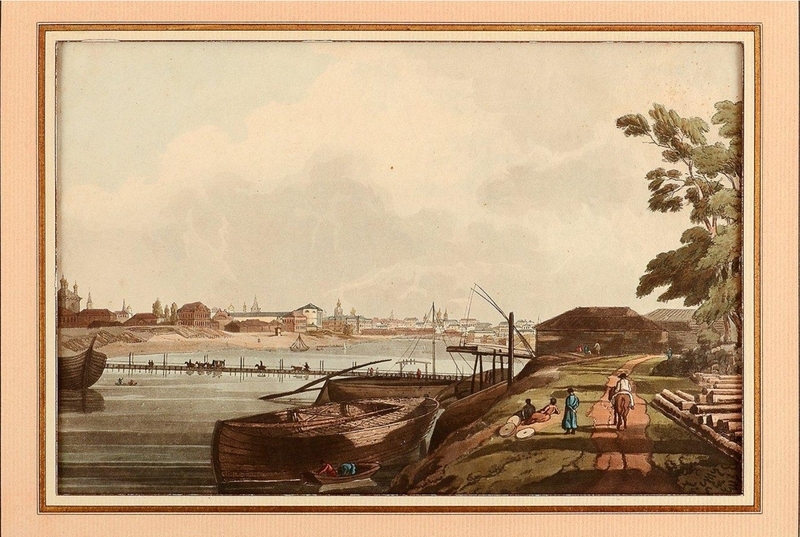 Looks like this one is a female part and he was somehow admitted there. 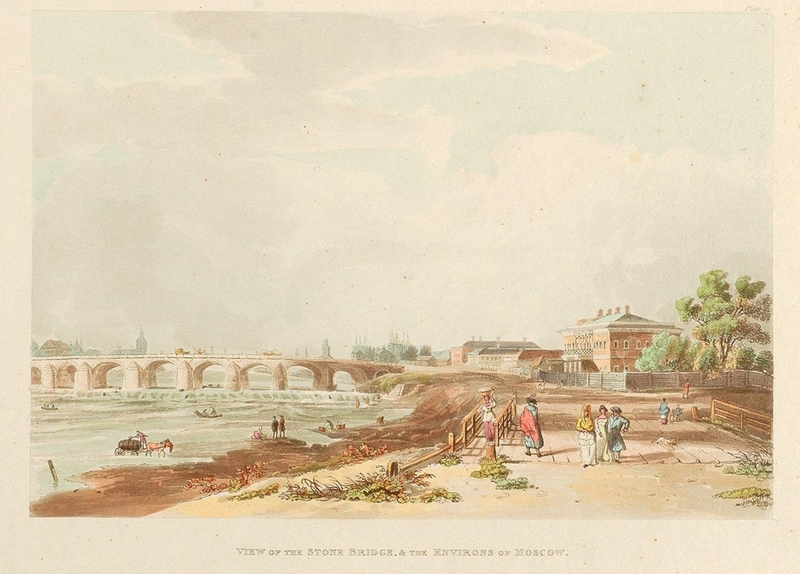 were these done before or after the French invasion of 1812?